REIGN TO RUIN RELEASE CELEBRATION! Three lucky readers will each win a copy of Nora Ash’s Demon’s Mark series and Zoey Ellis’ Empire of Angels Series. If you like your stories HOT, FIERY, PARANORMAL, with DARK and DIRTY action, these boxsets are for you! 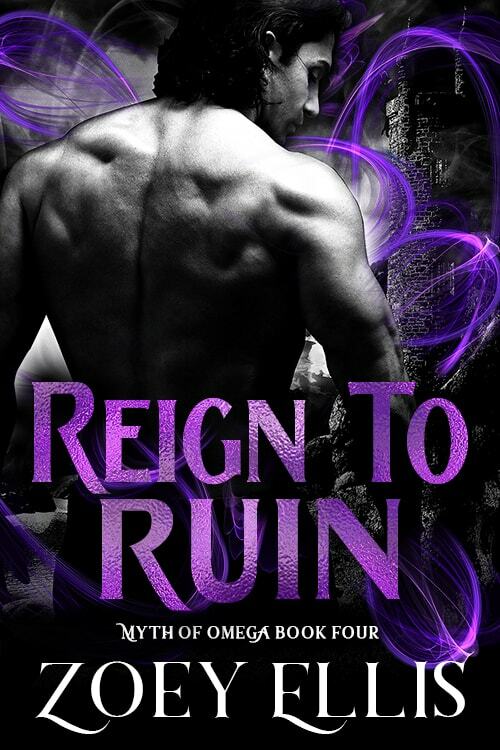 This giveaway celebrates the release of new Dark Fantasy Romance, Reign To Ruin, so don’t forget to check it out! It begins the first installment of the story of a new couple in an Epic Fantasy Omegaverse world. For fans of charming cruel, possessive Alpha heroes, sassy, smart-mouthed heroines, and dark-edged, twisty tales. GIVEAWAY IS NOW CLOSED! Thanks for playing! Email addresses provided will only be used to contact the winners directly. You will not be entered onto any lists. The prize for this giveaway is 1 ebook copy of Nora Ash’s Demon’s Mark series and 1 ebook copy Zoey Ellis’ Empire of Angels series given to 3 winners. Winners will be selected at random. Giveaway closes on Sunday, July 22nd.